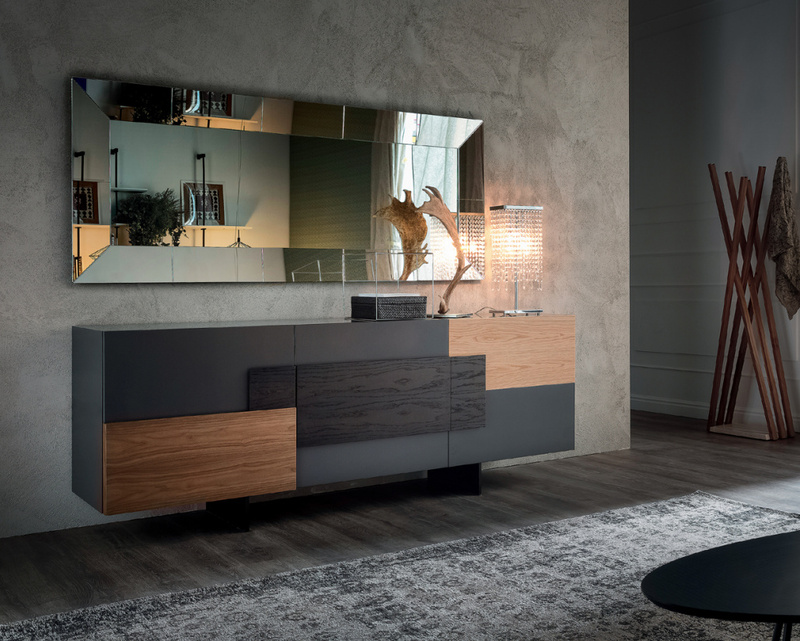 Striking and innovative sideboard with matt graphite varnished frame. 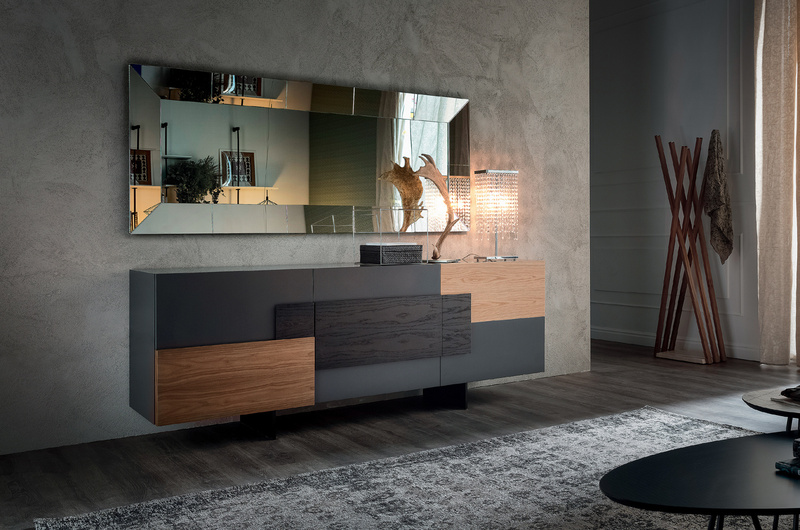 The wooden inserts that help to give this piece its distinctive look are in Canaletto walnut, burnt oak and natural oak. The feet are embossed black painted steel and the internal shelves are clear glass. Glorious Italian design that make this a centre piece for any dining room. An optional internal drawer is available on the 3 door version only.